Meet Your Friends at Kansas City Sailing! 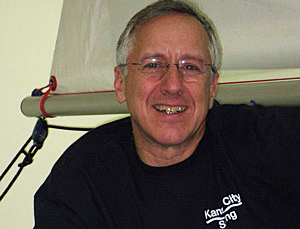 Kansas City Sailing was founded by Bruce in 1998. Bruce holds a 100-ton United States Coast Guard license (Credential Number 000051458; Reference Number 2518308), he's an Instructor Evaluator for the American Sailing Association and he's received the Outstanding Instructor of the Year award from ASA for four years. 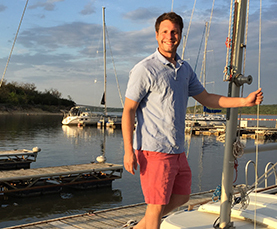 He began sailing on the East Coast as a boy and he's trained hundreds of students and sailing instructors locally and internationally. Many people would argue that Cathy's job at Kansas City Sailing is to keep Bruce out of trouble. While this is certainly true Cathy also manages the company's finances. She is a Certified Public Accountant with a Masters Degree in Accounting. 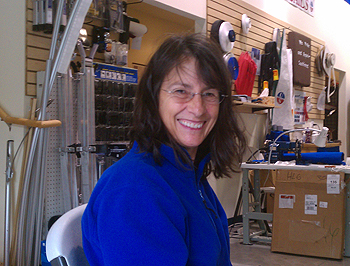 Sarah has been with Kansas City Sailing since we opened our shop. At the time she was in high school and didn't know the difference between a cam cleat and a jam cleat. But that's all changed. 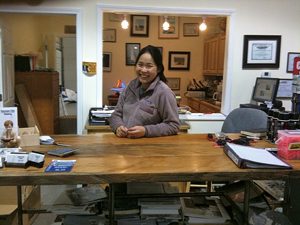 She now amazes us with her great knowledge of sailing, sailboats, parts, supplies, and everything associated with sailing. Jon, our rigging and service manager, has a wide range of mechanical talents and skills. He loves to work with epoxy, fiberglass, deck hardware, and rigging - but most of all he loves to work with people! Every day we ask, "What would we do without Jonny?" 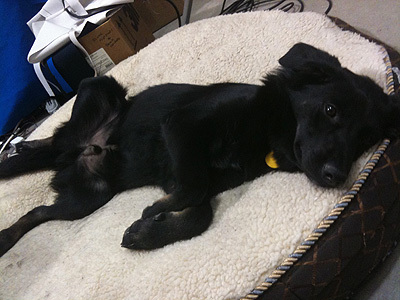 Skipper, shown here taking a break, joined us in 2010 after the unexpected passing of Sammie Liese (pictured below). In addition to his greeting skills, he's an expert at fetching New England Ropes monkey fists thrown by customers and other new friends.